April Fools Day is the one day in particular, when you should not believe everything you hear! Instead of trying to fool all you lovely people, this year we have decided to give you some inspiration instead. We have searched high and low for some of our favourite April Fools Day pranks and have whittled it down to three, so that you can find the perfect prank for your friends, family and foes this April Fools. The perfect way to fool your Oreo loving friend this April Fools! Un-sandwich the Oreo, scrape out the filling, fill with your mintiest of toothpastes and sandwich back together. Then sit back and watch as the unwittingly enjoy a Toothpaste Oreo. 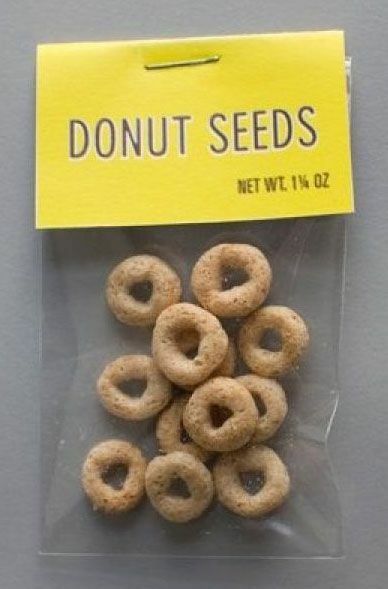 Trick your little ones, partner or even your siblings into believing Donuts come from Donut seeds. Even try and make them plant them if you can, stand back and watch them look puzzled as their donut seeds are in fact Cheerios. Stick Googly Eyes on EVERYTHING! Make sure you give someone in your home a fright by making sure all eyes are on them. Stick googly eyes on everything on your home to seriously freak them out. Why not try sticking them on all the food you have in the fridge? We would love to see some of your favourite April Fools Day pranks, or some of your previous pranking work. Drop us a comment below, get in touch via Facebook or Twitter. Look forward to hearing/seeing your stories of pranking success. Have a great April Fools Day!